What is linkbuilding? What is important and how do you get started? You are here: Home / SEO / What is linkbuilding? Linkbuilding is regarded as one of the most important tools for gaining new customers or readers. The reason being that linkbuilding increases your website’s trustworthiness, which Google and other search engines reward by increasing your ranking in the search results. Furthermore, linkbuilding also has the benefit that an increased amount of incoming links can result in a noticeable growth in your website’s traffic. While linkbuilding certainly has its amazing benefits it is one of the most demanding disciplines in the SEO world. Proper linkbuilding requires a vast time investment and to make it even more troublesome, the linkbuilding-phenomenon is ever-changing at the mercy of Google’s guidelines. In this guide, we will do our utmost to help you gain the knowledge to be able to start your own linkbuilding campaign following Google’s guidelines (Best Practice), ensuring that you avoid falling into the black hat SEO traps which usually result in severe punishment by the search engine. So what is linkbuilding? Fundamentally speaking, linkbuilding is about building a good and trustworthy backlink profile. This means that you need other within your website’s field of interest to link to you, as a link is regarded as a stamp of approval. As the name “linkbuilding” suggests, you’re attempting to build links. As we’ll point out later in this guide it is extremely important to be careful while doing so, as you could otherwise end up being punished by Google. With great risk comes great reward, and performing linkbuilding correctly can put you far in front of your competitors. Linkbuilding is a continuous process, where you repeatedly make sure that you have an organic growth in the amount of links your website has – outgoing as well as incoming, so your website gives off the impression of being “alive” and rich in quality content. As mentioned, linkbuilding is a way to strengthen your backlink profile, which search engines use to determine how many external websites “trust” you and vice versa how many you trust back by linking to them. But linkbuilding is not only for search engines and robots. Linkbuilding is also done in regards to customer experience. Links are the primary way in which users surf the web. By clicking a so-called hyperlink one can be transferred internally on a website or even move from one site to another. Search engines use links to crawl websites which is the way they create an overview of how the website is built and how the website in question is linked together with other pages on the internet. That’s also why it’s such a great idea to create a sitemap for your website. Currently, one of the best ways to linkbuild is by doing the so called Guest Posts. Guest Posting means to create quality content which you want others to share on their websites – either by you contacting them or by them sharing it automatically with a link back to your site. The above strategy might sound quite simple, but the execution behind is a long process. Recall that linkbuilding isn’t only about getting as many links as possible, but that it also is about creating a foundation for future partnerships between your website and others within your website’s industry. Contacting websites that you want to be linked together to is one thing. Another is to create content which the potential partner wants to show on their website. Content doesn’t only have to be text; it can also be infographics, videos, animations or something completely else – creating content is a creative process, and as an initiator you should come up with a few ideas to include in regard to your first contact with the potential partner. In an ideal world you have created a piece of content, which you suddenly experience being shared across many websites without you having to do anything besides creating the content. This is called an earned link. Earned links are the holy grail within linkbuilding since they require many different criteria, including a piece of amazing content – as well as a bit of luck. Unfortunately it is extremely hard to create content which is spread quickly. This is especially true if you’re within a niche market. However it is possible, as it is seen in the SEO world, where Moz receives earned links every day because of their quality content, strengthened by the fact that they’re seen as thought-leaders within the industry. One can try to copy this strategy and attempt to reach the same status as a thought-leader or influencers within one’s industry, but it is a strategy which first and foremost requires expert knowledge on several subjects. Furthermore a requirement is that your website should already be relatively known, which usually happens by increasing your page’s ranking in the search results using other linkbuilding strategies. Therefore we recommend you put your time and effort in creating strong partnerships with quality websites, where you deliver content which could lead to you earning links in the long term due to your quality posts on different websites. However, it must be emphasized that it is of utmost importance that your Guest Posts don’t give off the impression of being “spammy” or of low quality. The reason for this being that Google keeps an eye open for linkbuilders using the Guest Post strategy since it is often exploited by black hat SEO experts. Therefore, the execution of this strategy requires a well thought out plan, which we will give you the tools to do in this guide. Another way to linkbuild is by creating the link yourself. There are countless ways to do so, an example being the possibility to add a signature on forums where one adds a link to his or hers website. Furthermore it is usually seen in so-called link catalogues or in regard to blog comments, where a commenter can insert a link without it being verified by the site’s webmaster. A link which isn’t verified by a webmaster is called a non-editorial link in the SEO world. Back in the day it was a trick used by a lot of SEO experts. However, one should be exceptionally careful today since Google has said that they don’t like un-natural links. Although Google states that they don’t like unnatural links, it doesn’t mean you should refrain from creating links yourself. Creating links by yourself on websites such as company directories, where an admin has to verify your profile before the link is active, is perfectly fine. Creating a link yourself with a verification process is defined as an editorial process since another person goes through your submission, which adds more value to the link than if you would have created a link yourself in under five minutes. However, since Google indirectly has asked for this editorial process as a Best Practice it has led to websites asking for payment before agreeing to link back to you. Paid links is a concept you will most likely run into during your linkbuilding campaign. As mentioned it is typically websites or blogs with a good amount of traffic that demand a payment to put your content on their site. If it isn’t explicitly stated on their website you will usually be notified within the first few e-mails. Our recommendation is to stay far away from paying for links since Google explicitly states that paid links is something they punish. If you’re concerned that your competitor has a “great” paid link at a high traffic site that potentially help them increase their sales, you can entertain the thought that they most likely will be punished by Google for their behavior very soon; competitor as well as the site demanding cash. The term “content” is something we have mentioned several times in the course of this guide already. This might cause you to think if it really is necessary to create content – can’t you just get a link immediately, which acts as a stamp of approval from the website in question? And that’s actually a great question, because doing so was common practice until just a couple a years ago where Google defined a website’s so called PageRank based on how many incoming links the site had. As one could expect this was quickly exploited either by link-spammers or by people expecting money for a link, as explained above. Today Google has developed an algorithm, the so called Penguin Update which keeps an eye on website’s behavior and link profile to catch the ones who attempt to exploit loop holes. The best way to stay good friends with Penguin is by creating quality content, which other websites naturally want to link to. This is one of the reasons we emphasize that your linkbuilding campaign should have the quote “Content is king” as one of its defining characteristics. A penalty from Google Penguin is something one should attempt to avoid at all costs. If you follow Google’s webmaster guidelines religiously your chances of being punished are very low, so reading the guidelines is a very good idea before starting your linkbuilding campaign. A rather unconventional way to linkbuild is by using “dead” links. This strategy is a bit more advanced than Guest Posts but it works just as well – if one is able to find the dead links, that is. The essence of this strategy is to find websites that are within your industry and the check the website’s links to see if any of them are dead. A dead link is a link that no longer has a valid destination often resulting in a 404 error. Once you have found a dead link you must find out what the original link actually pointed towards and in what context the link was placed. Afterwards you may create content which is just as good or better than the content which the site was linking to originally. Once this has been done you can contact the website and let them know you have found a dead link. Usually webmasters are grateful for the help you offer. If you in the e-mail include that you have content that could fill the existing gap there is a great possibility that the dead link will be replaced with a new link pointing towards the content on your website. However, in some cases it can be quite hard to offer new content if the dead link was pointing towards an internal resource. If that’s the case you should still contact the website and let them know that they have a dead link – if you’re lucky they might be so thankful that they would be interested in starting a partnership or help you in some other way! Sending a great outreach e-mail is very important when it comes to giving off a good first impression. It is therefore beneficial to spend some time creating a great template, which you can personalize depending on the person you’re attempting to reach out to. You should do so since no one likes receiving spam e-mail and as mentioned earlier, Google keeps an eye out for people who tries to spam their way to a great backlink profile. A template should therefore only be used as an indicative guidance and not as a one-for-all template for each outreach e-mail you send. If you use the same e-mail for all outreach contact you risk having your mail end up in the receiver’s spam folder. Another risk is that you start falling into other traps (as it too is less time consuming) such as creating your own non-editorial links. My name is [YOUR NAME] and I’m writing on behalf of [YOUR WEBSITE]. We are [DEFINE YOUR WEBSITE]. Because of my great impression of your website I would like to propose a partnership between us. What do you think about the idea of us creating [INPUT FOR CONTENT CREATION] for your website? I sincerely hope we can create the perfect conditions for a great partnership together. As mentioned it must be emphasized that you only use a template as an indicator for the personalization that must occur for each new person you’re contacting since it is crucial for giving off the best possible first impression. However, there is no shame in using a template as long as you personalize it beforehand. We have helped you do this in the example template by marking several places with brackets and bold text indicating room for personalization. It is always a great idea to spend some time researching an interesting website to find some points of interest you can include in the outreach mail. Flattery never hurts! If you chose to use our outreach-template you have to make sure that everything has been personalized before it is sent off so you don’t end up ending an e-mail where it still says “[INPUT FOR CONTENT CREATION]”. Doing so will most likely result in a very low percentage of responses. 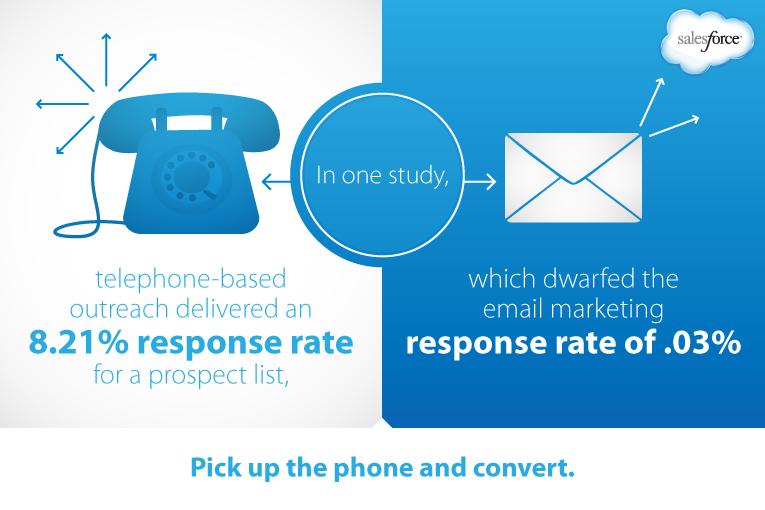 The best way to ensure a great foundation for a future partnership is to use the phone instead of emailing. If you have the opportunity for calling the person we recommend it in almost all cases since you avoid having to wait for an answer or risk your e-mail ending up in their spam folder. Talking to the potential partner through the phone can also lead to you planning a meeting way faster than if you had to correspond over e-mail. Fortunately there are several tools which can help you find a person’s phone number if it isn’t listed on their website. A couple of these will be discussed at the end of this guide. As an ending note for this chapter we would like to repeat our emphasis that you should never enter a partnership with someone just for the sake of the link. You need to have a genuine mutual interest in a partnership – an example of this being if you have possess expert knowledge about a subject where you offer guest posts at a partner website that has a large amount of readers. Doing so will benefit you both; you create content for the website and its readers, and the readers will learn about you and your website in return. Even if you don’t get a link from this, it is still very beneficial for you – your traffic will most likely grow as a result. As discussed earlier, there are several ways to linkbuild. Google’s guidelines change constantly, which define the good and bad ways to linkbuild. In the SEO world this is regarded as white hat –and black hat SEO. White hat SEO is the best practice way to linkbuild where one follows the guidelines religiously. Doing so creates value for everyone involved. If you gain a link it should be because your content is of very high quality, or because the link was approved in an editorial process (without it being paid!). These are the most extreme examples of white hat SEO and will result in the lowest possibility of you being punished by the Google Penguin algorithm. On the other hand black hat SEO is about “cheating” and exploiting the way search engines work. It can be very tempting to use black hat SEO since it shows results much faster than white hat SEO. Furthermore, it requires a lot less effort than white hat SEO since you don’t have to create quality content or spend the same amount of time finding and creating partnerships. There are a lot of opinions about whether the cost/benefit for black hat SEO is better than white hat SEO if you’re good enough at hiding your tracks. The reason for this being that it is often seen that some websites get amazing rankings in the search engines for a long period of time, even though they use black hat techniques. However, we recommend you staying far away from black hat SEO, if you own a professional web shop or something similar, since a penalty from Google can result in a huge drop in rankings and in worst case your website being removed completely from the search engine. A website which was hurt massively by a such penalty was MoneySuperMarket in England, which suffered dire consequences. Even though you might have spent quite some time creating the perfect outreach template and finding the websites you’d like to create a partnership with, it is very important that the link is “good enough”. Deciding whether a link is good or not takes some practice and during this chapter we will help you gain the knowledge to decide. A link isn’t just a link. Several parameters decide how valuable a link is. First and foremost the website in question must have an adequate amount of traffic if you want a link from them. A low traffic page doesn’t have a lot of link juice or readers, which makes a partnership a poor Return On Investment. Furthermore it’s also important that the link doesn’t come from anywhere. Your backlink profile should consist of links from within your industry since Google might raise an eyebrow if your link profile consists of many different links from everywhere – giving off a unnatural impression. When discussing links it’s important to remember that it is a sender/receiver relationship. In most cases you are interested in receiving incoming links from an external website which means that the external website publicly approves of your website. However, this can be quite detrimental to your site’s reputation, especially if the sender (the website) has no affiliation to you; e.g. if they’re not in your industry. This is especially important if you own a blog where people can add comments. If you don’t moderate the comment section you can suddenly experience that anonymous comments in different languages start to appear with links back to foreign websites. These spam-sites typically advertise pornographic content or alternative remedies, which you usually don’t want to be associated with. Therefore it is a good idea to manually verify comments or use the so-called ‘nofollow’ tag. The no-follow tag is also a criterion which is used to judge the value of a link. The no-follow tag is a way to tell Google that you don’t want to give off your site’s trust to the receiver, even though you use their information as a resource. This is very useful on websites where users can upload their own content, as it is seen on Facebook or forums. No-follow tags are quite problematic when linkbuilding, as you don’t get the website’s link juice transferred to your own website. However, you shouldn’t avoid no-follow at all costs, since a no-follow link from a reputable website still can benefit you a lot, e.g. through a growth in traffic. Fortunately a series of tools exist to help you save time and effort as they quickly show you whether a link is good or not. In this chapter we will go through the tools we enjoy using the most when the need for a linkbuilding campaign arises. A way to check a backlink profile, whether it’s yours or someone else’s, is by using the amazing website www.majestic.com. Even though the functionality is very limited for free users, you can still use the website to gain an overview. If you want even more insight you will have to pay which we recommend doing, if you want to have a successful linkbuilding campaign. If you mention the Majestic tool you also have to give an honorary mention to its closest competitor www.ahrefs.com. The ahrefs tool is also a formidable tool which can analyze several parameters of a website. There are different opinions on which tool is the best so a great piece of advice is to create a user on both websites and then do a demo to find out which website suits your needs the best. Another tool which is very good at giving analytical insight is the website called SimilarWeb. This tool works best with websites that have a certain amount of traffic since the tool otherwise will have a hard time presenting enough information. One of the metrics we use the most from this website is the “Engagement” column. This column tells us about the visitors’ behavior on the website, which also is something Google uses to define the quality of a website. One of the most important tools when it comes to linkbuilding is the Moz toolbar. This toolbar is installed from your favorite browser where you’ll then be informed about websites’ metrics from the toolbar. Using this toolbar you have a great foundation for finding the ideal website to get a link from since the toolbar does most of the legwork for you. When beginning your linkbuilding campaign you will most likely have a quite weak backlink profile and therefore you can’t be too picky about your links. You can use PA (Page Authority) and DA (Domain Authority) as well as the spam score to find out whether you want a link from the website or not. Generally speaking, the spam score should be as low as possible (< 3) and the DA should be higher than your own. The PA should not be used as a defining indicator, as it only tells something about a single page on the domain. It can therefore be alright on a single-page domain, but using the DA should be your primary indicator. Moz is also quite limited in functionality if you’re not paying, so we recommend paying the price as it is an essential tool for linkbuilding and other SEO work. After the analysis you’ll get a report which tells you which links are dead, if any. If you’d rather have an extension which does the same work while being on the actual website we recommend ‘Check My Links‘. 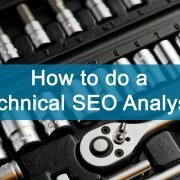 If you want a broader dataset while executing your linkbuilding campaign or doing other SEO work we recommend using www.semrush.com which is also an amazing tool when you need to analyze a website’s metrics. After entering an URL you’ll get insights into the backlink profile, amount of follow/nofollow links and also which type of links the website has. As an extra bonus you can also export these data if you want to work with it locally or use the data as a historic comparison. Once you have used all of these amazing tools to decide what websites you want to co-operate with you need to get into contact with them. We talked about outreach by mail or phone earlier, but it isn’t always easy to get the website’s contact information. Tools exist to help you gain this information quickly by scanning a website (and finding the Contact page), but we’re instead going to focus on the type of websites where no contact information is visible. In cases like these one has to think outside the box and use a website such as www.dk-hostmaster.dk/da/find-domaenenavn, where the owner of the domain will appear after a search (only works for .dk TLD). If the owner of the domain is hidden it can indicate that the website is a part of a link scheme which is regarded as black hat SEO. It can be very difficult to linkbuild and it is typically the discipline which SEO-experts spend the most time on. Linkbuilding isn’t hard just because it’s difficult to find websites. It’s also hard and time consuming to find the right website, which has a high degree of quality and is in the same industry as yours. Furthermore both parties must be interested in a partnership, which in itself can be a challenge. A good tip is therefore to never give up and to be very patient; linkbuilding can’t be done in a day! Furthermore it is important that you remain skeptical while linkbuilding. You have to be sure that the quality of the incoming link is good enough. This requires usage of the described tools and good decision making so you don’t end up being penalized by a search engine such as Google. In the case of a penalty getting back on track can take a long time. Furthermore it can mean a loss in turnover or readers which can have vast consequences for your company. Therefore it’s crucial that you’re skeptical while linkbuilding. Being skeptical also means being able to say no to a link even though it’s tempting. You must be aware that it’s important to have a collection of quality links instead of a messy backlink profile where there’s only average or outright bad links. You should always tell yourself that it’s better than having one link less than one link more, especially if you’re not sure about the quality. To make it even harder the above must be discussed. Google states that they aren’t happy for active manipulation of the link profile, which linkbuilding is the definition of. Therefore it’s important that you have a natural backlink profile which means that a newly started website shouldn’t get 50 quality links in a day, as it sends a signal to Google and their Penguin algorithm that you’re cheating with the “trustworthiness” – even though your incoming links are of high quality! A good idea is therefore to create a linkbuilding campaign which builds upon your link profile in a calm manner. Furthermore it should be mentioned that as a webmaster you shouldn’t just aim to get more incoming links. It’s also important that you “give back” by linking out to other websites. This further emphasizes the point of having a natural / organic link profile so you don’t get on bad terms with the Penguin algorithm. And to avoid a penalty, it is important to steer clear of black hat SEO as discussed thorougly in this guide. Paid links are one of the biggest traps which many still fall into – even big established companies. Another great trick while executing your linkbuilding campaign is to compare with the competitors. 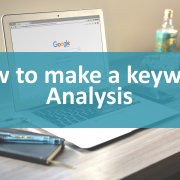 Many of the discussed tools contain the so-called “Competitor Analysis” which can help you understand what your competitors are doing better than you. In a linkbuilding context this can save you a lot of time, simply by looking at their link profile. By doing so you can find out what partnerships they have established, and then you can take contact to these partners and offer them better content; indirectly beating your competitors. Furthermore you can note the bad links they have and thereby avoid making the same mistake. Majestic, Ahrefs and Moz are great SEO tools for helping you understand your competitors’ backlink profile. We hope that you have become more knowledgeable about the subject of linkbuilding by reading this guide and that you now are able to start your own linkbuilding campaign. If you have any question or if you need help to get started you are more than welcome to contact us – either by calling or by writing an e-mail. Happy linkbuilding! https://jaskovconsult.dk/wp-content/uploads/2017/07/what-is-linkbuilding.jpg 3648 5472 Lasse Munk https://jaskovconsult.dk/wp-content/uploads/2017/12/Jaskov-consult-logo-1.png Lasse Munk2017-07-10 16:06:502018-07-09 14:21:19What is linkbuilding?